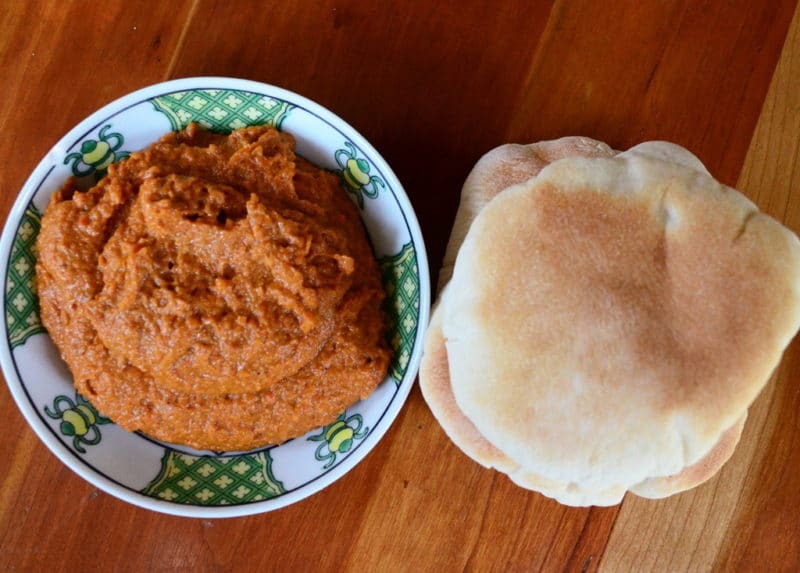 Roasted red pepper-walnut dip, muhammara, has such great texture (thanks pank0!) and flavor (love you, pomagranate molasses!). 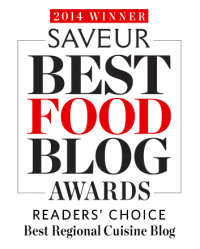 Muhammara is always a winner–you’ll be handing out the recipe left and right…. I honestly had barely heard of let alone made muhammara when I worked as an intern at Boulette’s Larder in San Francisco. I had just finished culinary school and the internship was considered a two-way street: I was there to get my booty kicked, say thank you and ask for more. They had me there to get the work done, but also because I came bearing a personal Lebanese culinary treasure trove, which was of some interest. The restaurant is open-kitchen style, and up front there is also a counter where a select menu of prepared foods of the highest order are sold: a gorgeous chicken soup made in the most exacting manner, a variety of perfectly prepared baked goods and vegetables or meats, and also muhammara, red bell pepper dip. Lots of muhammara. The dip was the super-star of the counter, in fact, made in huge quantities and sold out week after week to adoring eaters. I was put on muhammara (mu-HUMM-a-da) duty early on and often. The process was as exacting as the soup, and because so much of it was sold, it had to be the same every time. Chef figured I had been making muhammara since I was child at my grandmother’s apron strings. She wanted to know what I thought of it, how it was made at home, that sort of thing. I didn’t have so much to offer in the way of making muhammara as I did in the pronunciation of it. Everyone there called it mooah-MARA, which I sensed was off even though this was far from a household word on Wagon Wheel Lane. I refrained from giving chef et al an Arabic lesson, which was wise of me, and just pronounced it my way every time in hopes that it might rub off. Probably they thought I was wrong. Perhaps it was my Arabic that got me into trouble, because the making of the muhammara became the bane of my internship existence. Imagine the largest can of anything you’ve ever seen, then double that, and here was the can of roasted red bell peppers from which I had to remove the skins. It was of course canned peppers of the highest order, given that this was one of the very few items in the restaurant that didn’t start from scratch. But those little suckers had not gone into a bowl and been given their due in steam to ease off the skins. No. The roasted skin of the peppers clung for dear life, and seemed to take a sick pleasure, along with the sous chef, in watching me work like a maniac to get them cleaned in the short window of time I was allotted to complete the task. Yes, I was given the tip to remove the skin under cool running water, and that helped but did not solve the fact that I needed the skin off and it did not agree. That should have been the most irritating of the muhammara-making tasks, but it was compounded by a large-quantity nut- and bread-crumb-toasting task that ranked up there with the peppers in making my brow sweat. Yes, I did nearly burn the nuts at the get-go, and that caused sous to not trust my ability to toast the nuts properly and caused me to pull them out before they were ready according to her specifications—once it took five tries with her scrutiny before the nuts were deemed properly toasted. 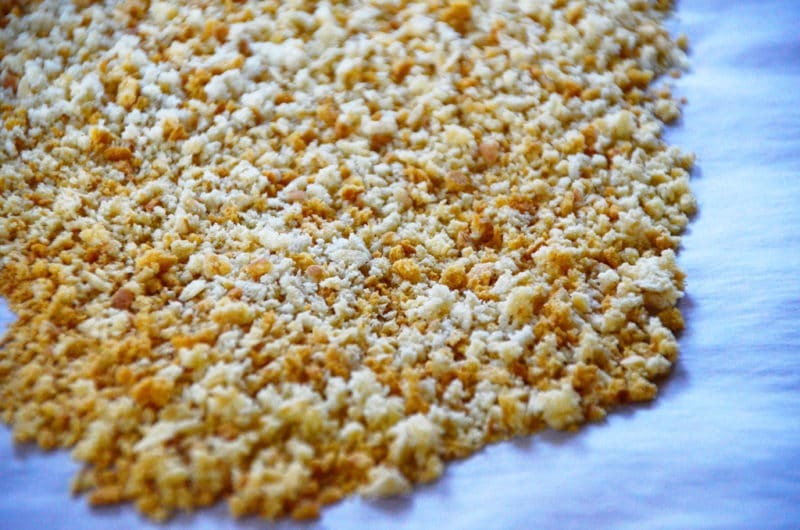 It was almost as bad with the breadcrumbs, which take particular attention to prevent burning and require a good stir or two to be sure the crumbs brown evenly all over. I came to understand the muhammara-making as an exercise in both the break-down and build-up of my kitchen ego, an extension of the process that had just taken place in my culinary school program. I’m glad for that. Yet instead of inciting my desire to move on and conquer the brow-sweat of working the line, it worked an opposite effect, so that I take that much more pleasure now in peeling the skin off of just two red bell peppers, toasting just a cup of nuts and breadcrumbs, and putting together a little bowl of muHUMMada with you, to eat right here at home. The more you make muhammara the more you will adjust the spices to your own liking. A jar of roasted red bell peppers will work just as well as roasting your own. This is delicious as a dip with fresh pita or pita chips, or spooned atop chicken, grilled meats, or fish. Muhammara will keep, refrigerated in an airtight container, for about a week. Combine the peppers and walnuts in a food processor and blend until smooth. Add all of the remaining ingredients except the olive oil and pulse until smooth. With the processor running, add the olive oil slowly and blend until the oil is completely incorporated. Turn off the processor and scrape down the sides of the processor bowl as you go. Serve the muhammara in a small bowl, chilled or room temperature. 32 Responses to "Roasted red pepper-walnut dip, Muhammara"
I’ve had this in restaurants but never “home-made.” It really is delicious. We did not eat muhammara growing up in Beirut; it was a dip from Aleppo actually and only in the last few years did I see it in restaurant menus; of course, it is also done by the Armenians who settled in and around Aleppo. Most recipes in Arabic cookbooks don’t use fresh bell peppers but i prefer it with them! Actually, moe-hamm-marah is the correct pronunciaton. It’s a dip eaten in South-East Turkey to North-Syria. 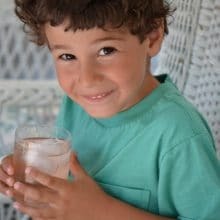 The Lebanese dialect is different from Syrian dialect. Oh my word! I made this tonight and its DIVINE!! I love your blog! So glad I found it on the Shada Family FB page! Thanks, Maureen! I love your story and will be trying your recipe very soon. In fact, I am Lebanese but did not eat much Muhammara while in Lebanon. I will make it now though and let my family taste it. Thanks for sharing your lovely recipe. Thank you so much Fadia! Enjoy the muhammara! Hello Maureen I tried this last night and it is phenomenal. I added 2 roasted peeled hot red peppers. Best recipe, thanks for sharing! Do you happen to have a recipe for kibbe kaddaba? What lovely photos! “I came to understand the muhammara-making as an exercise in both the break-down and build-up of my kitchen ego” — love the narrative that wound up with that insight. So much of cooking and food-prep as I see it winds up at similar points, so it’s hear of other journeys that way, too. I made this for a Thanksgiving appetizer and it was amazing! Thank you so much, it is definitely a new family favorite! That’s great news!! Thanks for taking time to let me know! Hello Maureen… I just came across your blog for the first time tonight and was happy to see the recipe for Muhammara. Ironically, a friend came back from a vacation in Greece (Salonika) on October and brought back a sampling of ATZIKA, which is the Pontian version of Muhammara… it tasted like the chaimen topping for pastourma if you know what this is. I was awed by the intense flavor and have been looking for recipes. Unfortunately, I only found one and it claims celery as part of the ingredients, which does not seem right to me. Celery is a pronounced flavor in anything and the ATZIKA sample I tasted did not have celery in it. I am going to try your recipe above and see what I can come up with. We are lucky that we have 2 Middle Eastern stores not far from us and shop there whenever we need things. 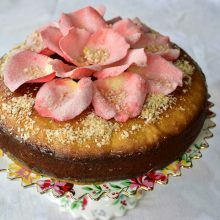 I am sure I have seen the pomegranate molasses but didn’t know how to use it; I do now!!! thank you! That’s just great Chrysoulla, thank you. I am with you, I have not had muhammara with celery! Enjoy this and let us know how you like it! I just made this for a Super Bowl party – tastes amazing! I garnished it with some chopped parsley and mint, and some whole walnuts. Thanks for the recipe! Great, Kate, thank you and so glad you enjoyed the baba! That is a great story, wonderfully told. however it is pronounced, this is sooo delicious. and yes, it is wonderful on all manner of foods, and may i say, also, on a spoon. i have wondered about making it myself, and you have convinced me to let someone else do the painstaking work and just delight in other’s efforts. looking forward to your next delicious blog. Awesome and totally different dip! I have in the last year become allegoric to tahini. My beloved hummus went out the window. This dip might be a wonderful replacement. I hope so! Oh no, no hummus! This will be a great replacement Carol! Maureen, I used your recipe nearly as it stands and just love the flavors of this Muhummara. I am always looking for new flavor combinations and new spices and spice mixtures. More often than not I change them and make a combination pleasing to me. This recipe stands perfect just as is. Thank you for sharing your stories and recipes. I will be checking out others soon! What a great compliment, Chris, thanks so much! Thank you for this recipe! I made it yesterday and it turned out amazing! My husband is from Syria, and it past the taste test with flying colors. We ate it on toasted ciabatta bread and, WOW! I just love your blog and reference it frequently. Thanks for sharing your recipes and information. How great Jessica, thank you! I saw the mention of your book on the NY Times and will purchase it. I lived in Jordan for three years and was able to travel to Syria right before all the trouble started. I ate muhummara there and loved it. Just recently I was in Botswana where my husband is now working and a staff member is from Egypt married to a woman from Aleppo, Syria. As part of a fabulous meal, she made muhummara but she put eggplant in it! It was so delicious I could not stop eating it. I went home almost ill I was so full. I would like to ask her for the recipe but I don’t know if she would reveal this family secret. Have you heard of this variation? Your blog looks fantastic. When people in Jordan wanted really good Arabic food, they went to Lebanese restaurants! What an interesting variation, Janet. I’ll be looking into it immediately! Thanks for sharing! 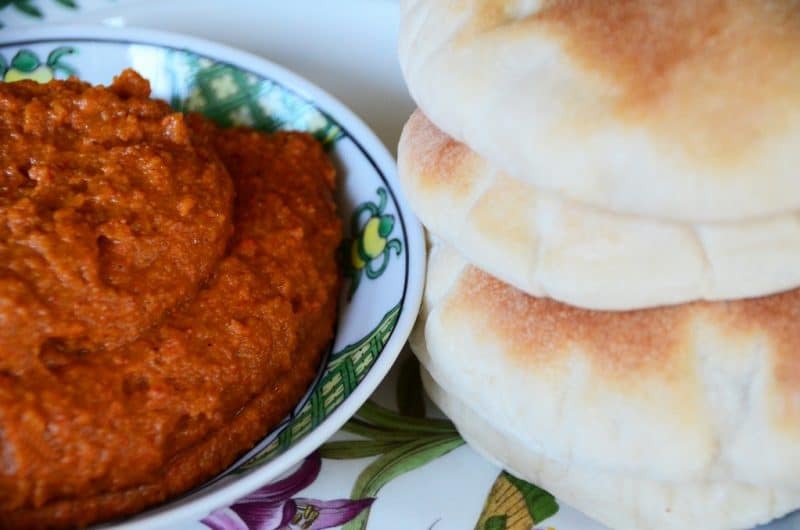 It appears that the dip that the woman from Aleppo made was not muhummara, but a similiar looking dish called ajvar, which supposedly hails from Serbia. 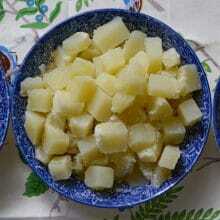 (After World War II, it became popular throughout Yugoslavia and is nowadays popular in the Balkans). 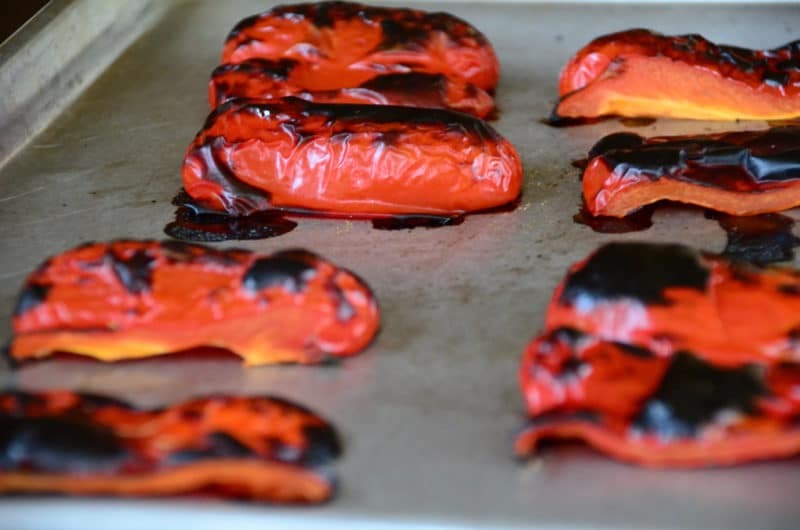 In order to produce ajvar, bell peppers and aubergines (eggplants) are roasted whole and immediately placed in a covered container where they are allowed to steam so that when warm, their skins can be easily removed, along with the seeds. The veggies are then pureed with other ingredients. Ajvar can be mild or hot and is very delicious. I have made this on a regular basis, since acquiring your cook book Maureen. Has become a favourite with friends and family. I serve it with zaatar pita chips. I may have previously told you that it freezes very well. After this new posting of the muhammara recipe I can tell that what I ate from the woman from Aleppo was NOT ajvar. 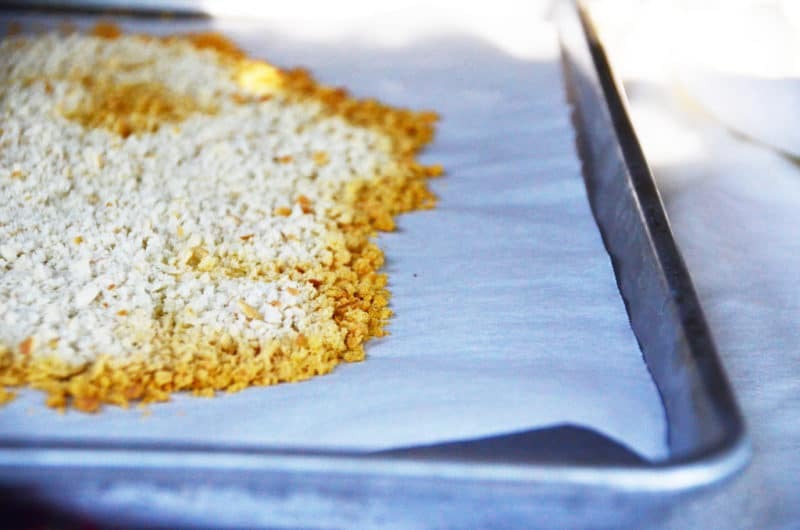 I lived in Macedonia for three years and ate homemade ayvar until it came out of my ears. I would sit in my office in the fall and smell the roasting peppers in the neighborhood. It was definitely muhammara as we discussed it. I had eaten muhammara before in both Syria and Jordan (poor substitute). I had made it also. In Macedonia, they do not put aubergines in the ayvar. Thanks for recipe, which I hope to follow and make correctly! But this time used it as a basis and concocted “mu KHA dara” using a bunch of green peppers (both spicy and not)! Roasted the garlic along with peppers and pretty much followed the rest of your recipe! Yummmm!